Black Diamond Video launched its comprehensive high definition conferencing solution, Sapphire-QHD1, a four-faceted package that offers bi-directional HD video and audio conferencing, unidirectional HD video and audio streaming, HD video recording, and HD image capture. 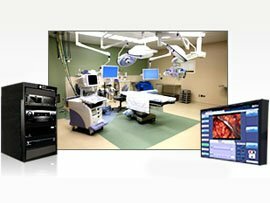 Black Diamond Video’s HIPAA compliant Sapphire-QHD1 can be incorporated into BDV’s popular Integrated Digital Surgical Suite (IDSS) for medical applications or stand alone as a commercial, business, or military conferencing system. LifeSize, a division of Logitech, has just announced HD video content streaming on mobile devices using LifeSize Video Center. According to the company, now organizations can benefit from "greater communication reach and flexibility" by using HD video streaming, recording and auto-publishing to make video content available to teams working remotely on mobile devices, such as iPads and iPhones. 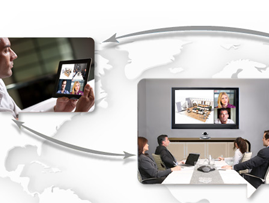 Global IP Solutions announced the availability of high-definition and Super-wideband Voice as well as one-way Video Conferencing/Chat capabilities for iPad developers, powered by GIPS VideoEngine Mobile. Global IP Solutions, a provider of HD voice and video processing solutions, announced yesterday another first-to-market with GIPS VideoEngine for Android, which provides mobile developers the vital building blocks for integrating video conferencing/video chat into applications running Google’s Android mobile operating system. Wireless HD chipmaker Amimon has raised USD $10 million in its latest round of funding. The Israeli company’s announcement comes as demand for HDTVs capable of wirelessly transferring HD video from one device in the home continues to grow. 802.11n Wi-fi technology will see off competitors in the wireless HD video market, at least for the next several years, according to In-Stat . Three other technologies are competing in this space – Wireless Home Digital Interface (WHDI), WirelessHD, and Ultrawideband (UWB). Enciris Technologies has unveiled HD video compression technology aimed at solving problems with reducing bandwidth and storage requirements. The LT-100 is a Windows Media Video/ VC-1 HD video acquisition and compression board.